Quran is the principle text of Islam and one of the three sources from which the Sharia law is cast. 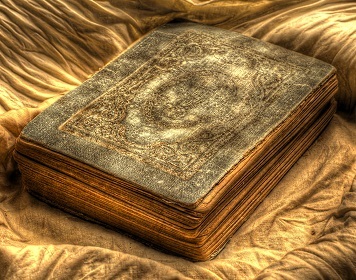 The Quran (also spelled Koran or Qur'an) was dictated from 609 to 632 AD by Muhammad and compiled after he died. The most sensitive issue with the Quran concerns errors. Muslims claim the Quran is infallible and error-free, while others claim the Quran has errors. Are there errors in the Quran? The Muslim army captured Jerusalem in 637 AD and al-Aqsa mosque was buit in the early 8th century. The problem with the above claim in the Quran is that Muhammad died before the Muslim army even reached Jerusalem and decades before al-Aqsa mosque was built (for details, see al-Aqsa Mosque). Assyria conquered the Jewish northern kingdom in 722 BC, exiled its upper class and brought in conquered people from other lands who intermarried with the lower class Jews who had been allowed to stay. Their offspring were called "Samaritans" ("Samiri" or "Samarians" in some translations of the Quran) because they occupied the region of "Samaria," named after its original owner, "Shemer" (see 1 Kings 16:24 in the Bible). The Jews despised the Samaritans both for being a mixed race and for setting up their own temple to compete against the temple in Jerusalem. But the golden calf incident near Mount Sinai mentioned in Quran 20:92-95 above took place in 1446 BC, which was 725 years before the first Samaritan was born in 721 BC. Therefore, unless Mary was 1,500 years old when she bore Jesus (see how old was Mary when she had Jesus?) - indeed, unless Joseph married a 1,500 year old virgin - Muhammad mistook two different women in the Bible as the same Mary. Why does the Quran contain such glaring errors? The proximate reason is that Muhammad was illiterate and therefore could not read the Bible for himself. He had only a vague and often incorrect knowledge of the Bible (see Bible vs. Quran) from what others read to him. The ultimate reason, of course, is that Muhammad was a false prophet who confessed to mistaking the voice of Satan as God's (see "Prophet" Muhammad) and who tried to cover up these and other embarrassing errors with Naskh. As for the Quran's self-contradictions, see There is No Compulsion in Religion.